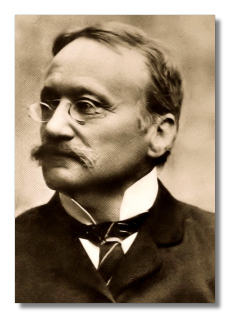 Poet, novelist, and composer, Arrigo Boito (February 24, 1842 - June 10, 1918) is known for the single opera he completed, Mefistofele. Like Gioachino Rossini, who wrote three dozen operas by his mid-thirties, and spent the next forty years of his life unable or unwilling to complete another, Boito underwent some kind of crisis early, and worked 54 years unsuccessfully at completing his second opera. As a student at the Milan Conservatory, Boito was awarded a stipend after winning composition prizes that enabled him to travel and study abroad for two years. He took advantage of the prize to visit Poland, his mother's birthplace, as well as England, Germany, and France. He was much impressed during these sojourns with the dramatic power of the operas of Ludwig van Beethoven and especially of Richard Wagner. Hence he reshaped the traditional elements of Italian opera to suit the kind of dramatic presentation he had in mind. 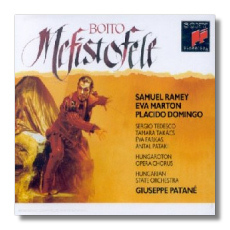 The result was Mefistofele, first performed when the composer was barely 24, for which the highly literary and literate Boito also wrote the libretto. 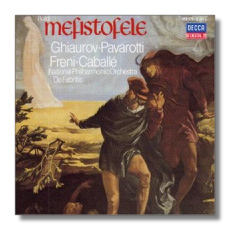 At its premiere performance, a pious contingent, objecting to the thematic modernism of Boito's version of the Faust legend, demonstrated angrily. After the second performance was likewise ill-received, Boito withdrew the opera and undertook to modify it to appease criticism. It has become a staple of the repertoire, one of the most exciting and compelling of operas.